Awesome form and picture Sydney!!! 20 rep max completed at 75# (63%)…old max. Should have gone heavier. 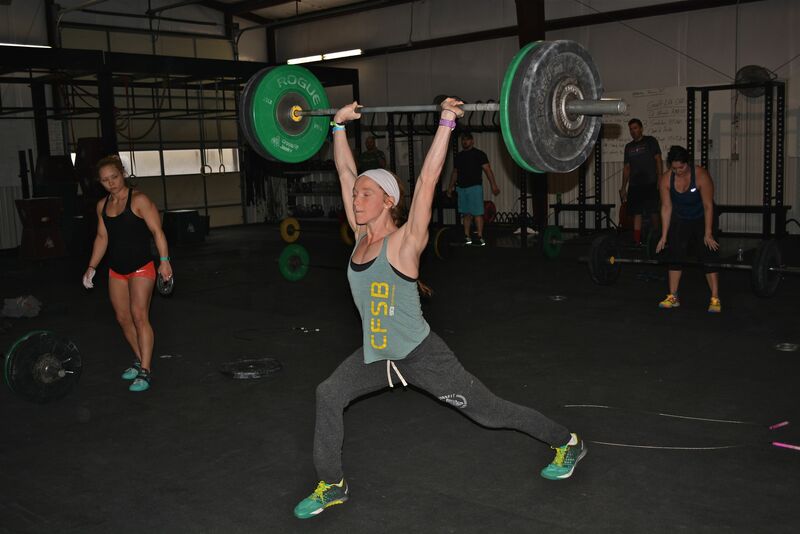 Wod as rx’d 1 clean in my round of 7. Great Job today CF Jenks. It is awesome to see so many of you incorporating your Muscle-up progressions in before and after class and even in class as appropriate. Love it and keep it up. Consistency and good training will get you there. Great picture Sydney, looks like Jessica is giving you some good coaching cues. Sometimes I have to pinch myself knowing we get to train with the CrossFit Games Female Teenage (15-16) Champion! Get Some! S2O 20RM = 155lbs this was a true max and took all I had, but pretty pumped. Clearly not Sydney’s first split jerk. Such a beautiful photo, so strong and perfect technique as usual!! 9 rounds + 8 push-ups.